If you’ve been on the fence about taking a martial art, 2019 is the year you should take the plunge and find out exactly why it’s stood the test of time for so many people. Whether your resolutions this year have been to become more fit, focus more on your work, or become more disciplined when it comes to your finances, martial arts has benefits in all of these areas that can contribute to your success. There are many different styles of martial arts, and Believe MMA offers MMA, BJJ, Tae Kwon Do, and boxing. Finding out what you like most and what best places you in the pathway of your goals is important, so learning about each individual martial art can give you a better idea of what suits you most. No matter which martial art you go with, make sure you have your goals in mind. Whether it’s to gain strength or to lose weight, find a class and method that benefits you, pushing you toward what you’d like to accomplish. Every class should be a step forward in the right direction, and focusing on your goals can help you to remember why you started in the first place. Hesitant to give martial arts a try? Believe MMA offers new students the opportunity to take three classes at the low price of $19.99. Whether it’s for you or your young ones, you can’t beat the trial price as you get a feel for what each class entails and how it can help you. Try out MMA, BJJ, Tae Kwon Do, or boxing. 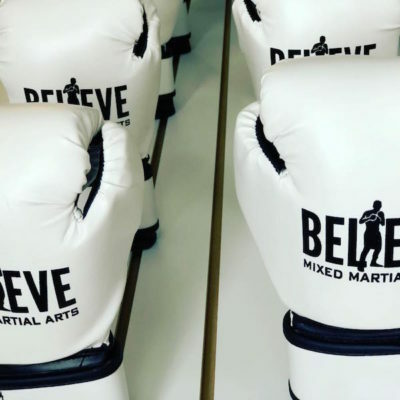 To find out more about Believe MMA, for either you or your kids, contact us today and speak to one of our staff members about our new student specials. Starting 2019 with a new and exciting path in martial arts can help you to reach your goals and you’ll want to keep coming back year after year.